A second Indonesian volcano has erupted while residents evacuated from the island of Bali anxiously awaited the eruption of local volcano Mount Agung. A videographer captured Indonesia's Mount Sinabung erupting on Wednesday in a series of time-lapse photos as it spewed ash as high as 2.5 kilometres into the sky. The eruption of the volcano in North Sumatra caught traveller and videographer, Matt Kawa, by surprise. Kawa told Reuters he was setting up his camera in anticipation for its eruption but did not expect it to happen immediately. The volcano has erupted many times in recent years, killing six people in 2016. 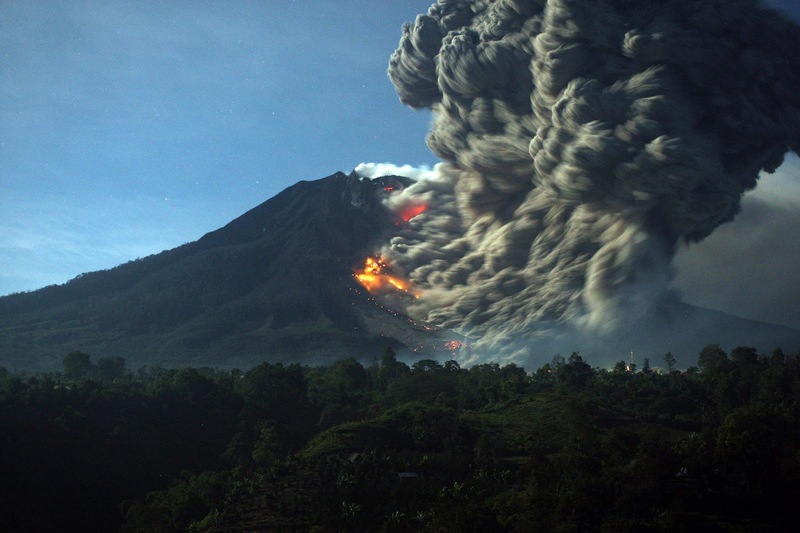 Sinabung's eruption came when the country was on high alert for the eruption of Mount Agung in the tourist island of Bali, where at least 140,000 people have been evacuated. The chance of an eruption remains high as the volcano continues exhibiting signs of unrest, a geologist said Friday. Gede Suantika, a geologist at the Mount Agung Observation Post, said the volcano has maintained a menacingly high level of seismic activity, with tremors shaking the mountain daily since volcanic activity began increasing on September 18. "The condition of this volcano is still critical and ready to erupt. But until now we cannot see the eruption, but the activity under the volcano is still high," Mr Suantika said. Authorities have issued the highest level alert for the volcano, declaring an area up of to 12 kilometres from the crater as off-limits.